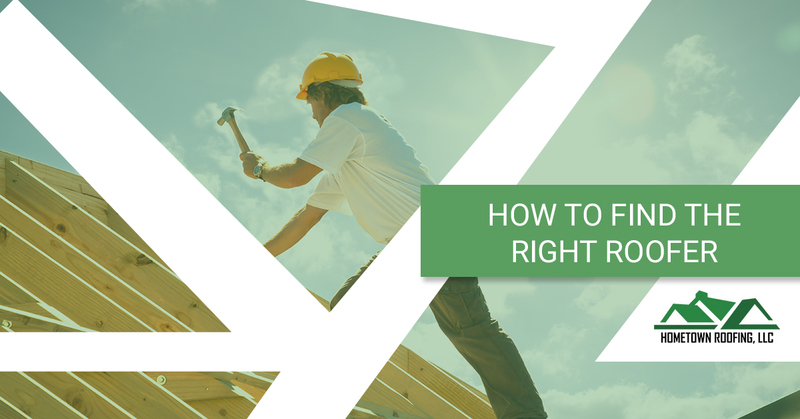 Finding the right roofer might seem like a simple task, but as a homeowner or business owner, there’s a lot that goes into finding the right one for the job. Whether your property just experienced damage from an extreme storm that passed through your hometown or you’ve been experiencing recurring issues with your roof, you want to find a roofing company that will get the job done right effectively and efficiently. At HomeTown Roofing, our roofing company offers residential and commercial roofing services to the Dallas/Fort Worth community. 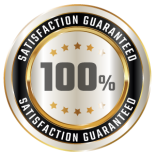 We have an A+ Rating with the Better Business Bureau, and our roofers are a team of highly qualified professionals. If you’re looking for an honest and trustworthy roofing company, contact us today! In this blog, we’ve put together three tips that will help make choosing a qualified roofing company a simpler process. Check that they’re licensed and insured. 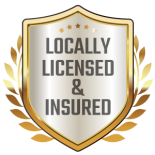 First and foremost, we suggest you double-check that the roofing company you’re interested in is properly licensed and insured. This will protect you from any litigations that may occur while work is being done on your property. When it comes to licensure, each state has their own requirements for a roofing license. The status of a license can be checked through your local state or county licensing agency, and if your roofer has a valid license, they’re more likely to do business in a more legitimate way. There are two types of insurance a good, trusted roofer will have: workers’ compensation insurance and liability insurance. A roofer that has properly insured their employees and subcontractors will be able to provide a legitimate copy of their insurance certificates. This protects you against any sort of liability if an employee hurts themselves while working on your building. Don’t be swayed by cost alone. It’s human nature to want to get the best, most affordable deal, even if that means sacrificing quality of work. We don’t recommend choosing a company based on price alone. Chances are, the cheaper roofing options you find might mean you’re dealing with an illegitimate business or company. But think of it this way: You get what you pay for. If you’re solely fixed on the initial price, you might receive less-than-great service and quality of work. That may lead to further repair costs in the future, which might end up costing more than if you were to choose a reputable roofing company off the bat. Get references from past local clients. A well-versed and experienced roofer should be able to provide you with photos of their past projects and referrals to their past clients. Maybe some of these referrals are your neighbors and friends, which should make it easy to reach out to them to ask them a few questions. Are you happy with how this roofing company performed? Would you hire this roofing company again in the future? Did you have any problems or difficulties working with this roofing company? Did the roofing company complete the project on time and stay within the budget? Getting testimonials from former real-life clients from the roofer also means they’re not as likely to be a scammer or illegitimate business — they truly want their past clients to brag about their work! Choose HomeTown Roofing As Your Roofer! 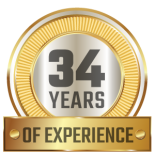 Our roofers at HomeTown Roofing have served the Dallas/Fort Worth area since 2003, but combined have more than 34 years of roofing experience. We take pride in our high quality roofing work, and we believe in giving back to the community. You can trust us with your roofing and general contracting jobs because we always put what’s best for our clients first. Our job is to keep you safe!